The administration’s proposed changes to the public charge rule would limit the number of foreign nationals receiving taxpayer-funded welfare benefits. According to an analysis of the Census Bureau’s Survey of Income and Program Participation (SIPP) by the Center for Immigration Studies (CIS), 63 percent of non-citizen households access welfare programs compared to 35 percent of native-headed households. Among the non-citizens according to Census Bureau data, roughly half are illegal immigrants, the report states. The other half includes long-term temporary visitors such as guest workers and foreign students, and permanent residents who have not naturalized and are green card holders. “Despite the fact that there are barriers designed to prevent welfare use for all of these non-citizen populations, the data shows that, overall, non-citizen households access the welfare system at high rates, often receiving benefits on behalf of U.S.-born children,” the authors of the CIS report, Steven A. Camarota and Karen Zeigler, wrote. In all four top immigrant-receiving states, welfare use is significantly higher among non-citizens households, the report states. In California, 72 percent of non-citizen households use one or more welfare programs, compared to 35 percent of native households. In Texas, 69 percent of non-citizens receive welfare compared to 35 percent of natives. In New York, the numbers are 53 percent of non-citizens compared to 38 percent of native households; in Florida, 56 percent of non-citizens compared to 35 percent of native households. “Based on the experience of the 1990s immigration and welfare reforms, it is reasonable to expect that the rule will discourage millions of immigrants from accessing health, nutrition, and social services,” researchers at the Migration Policy Institute (MPI) argue. According to an MPI report, more than half of all non-citizen children and teens in the U.S. receive taxpayer-funded welfare, primarily through Medicaid. 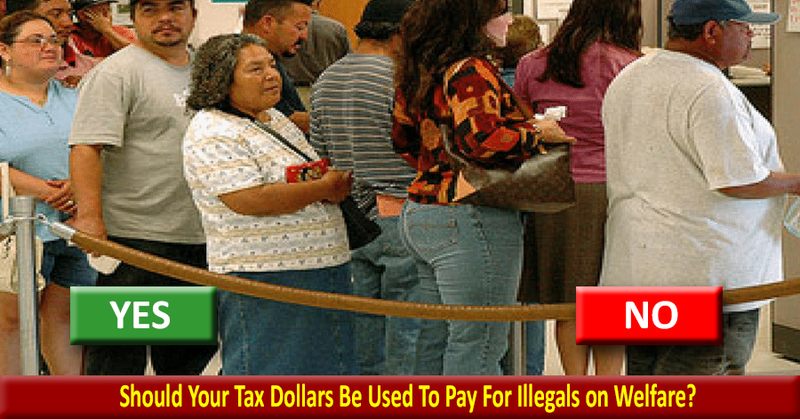 Approximately 50 percent of all non-citizen adults receive at least one form of welfare. 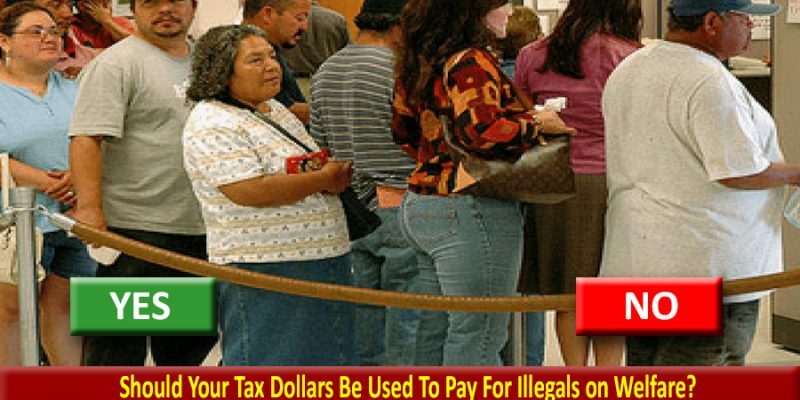 The rule change would add the “non-cash” benefits used by more than one-fifth of the U.S. population, and penalize illegal immigrants using tax credits and other welfare programs. If cash payments from the Earned Income Tax Credit (EITC) are excluded, reported welfare use drops to 58 percent for non-citizen households and 30 percent for native households. Including the EITC, 31 percent of non-citizen-headed households receive cash welfare, compared to 19 percent of native households, the CIS analysis found. Compared to native households, 45 percent of non-citizen households use food assistance programs, more than double the amount of 21 percent of native households. At least 50 percent of non-citizens receive Medicaid compared to 23 percent of native households. The bar does not apply to all programs, nor does it always apply to non-citizen children, CIS notes. Under the existing interpretation of the law, non-citizens (including illegal immigrants) receive welfare on behalf of their U.S.-born children who are awarded U.S. citizenship and full welfare eligibility at birth. According to the data, welfare use tends to be high for both newer arrivals and long-time residents, CIS notes. Of the non-citizen households that have been in the U.S. for less than 10 years, 50 percent use one or more welfare programs. Of those who have been in the U.S. for more than 10 years, the rate is 70 percent. Of the non-citizen households receiving welfare, 93 percent have at least one worker, compared to 76 percent of native households. Approximately 58 percent of those heading a non-citizen household have the equivalent of a high school degree or less; 28 percent are headed by a college graduate and use one or more welfare programs. Some of the SIPP welfare use variables are reported at the household level, not the individual level. Eligibility for welfare programs is generally based on household income, and welfare programs are generally accessible to all household members. “Some advocates for expansive immigration argue that household comparisons are unfair or biased against immigrants because someday the children who receive welfare may possibly pay back the costs of these programs in taxes as adults,” Camarota and Zeigler point out. But they say the same argument could be made for children of native households.